In “Brief Delights,” writer Andrea Stephenson at Harvesting Hecate muses on the changing of seasons and beautifully compares the fleetingness of summertime to those lucid, high moments of a writer’s life. Summer is a season of brief delights. Tiny beings on gossamer wings cloud the air for fleeting moments. Meadows undulate in an abrupt dazzle of colour. Birds swoop in from their long journeys to a frenzy of feasting and breeding. It is a season where things appear like magic, before vanishing as though they were never there. Where do they come from — the flies and the beetles and the butterflies? Where do they go to when their season has ended? They appear and then they fade, leaving behind traces on the air and the memory of wings. Summer’s long, light days can seem tantalisingly slow, and many of us remember treacly summers of our youth that were never-ending. But summer’s delights are ephemeral and the season rarely seems to linger in the way the dark, raw days of winter do. In the long, slow turn of the seasons, I see the pattern of a writer’s life. A cycle of hope and despair, of tunnelling inwards to find a nugget of wisdom and reluctantly re-emerging to display it to the world. But if the writing life is a long game, then summer is those brief, dazzling moments of success. It is the moment when you write “the end”; the competition prize or commendation; the moment when you see your words in print; the pleasing comment or review. For most of us it isn’t a best-selling novel or Pulitzer Prize, it is a series of brief delights, that dazzle us temporarily, before we head once more into the doubt doldrums or the hard work of putting one word after another. Read more on creativity and writing at Harvesting Hecate. Looking for writing inspiration? Sign up for our free 20-day email course that sends you daily prompts, ideas for new post formats, and writing tips. A writer’s is definitely like the seasons of a year. I know it winter I write more darkly because the weather affects my mood. Summer, all happy, light, and funny stuff. Great post Cheri! “It is a season where things appear like magic”: I definitely resonated with this part. I notice that it doesn’t matter what I write- poetry, stories, and so on- there is a certain nostalgia associated with my summers of writing. I look back on these summers and they feel almost dreamlike, slow and hazy. Even while writing, I find myself relaxed and even numb. When winter comes, my writing becomes active and passionate. So there’s definitely a pattern I’ve been noticing in my writing habits as the seasons change. It is so interesting that you noticed your writing is slow and hazy during summers and passionate in winters! These singular personality-oriented phenomena are always so amusing to study psychologically. We psychologists always say that knowing yourself better is the most important key to happy satisfied states. As a writer, self reflection is doubled, probably tripled, which makes for very meticulous soul searching. Ah, sorry for going on a tangent, but I really enjoy delving into these topics. Autumn and winter are my most productive times as a writer, dovetailing with the moving inwards that usually happens for me at that time. Same here- I notice a pattern where I’ll write almost everyday when it cools down, but once a week or so during the summer. Summer always brings slumps for me- it’s almost as if my writing collapses under the heat WITH me. Doubt is such a central part of a writer’s life that we have to take those brief delights where we can. The kind of imagination every writer yearns for. It Sounds like the beginning of a Charles dickens novel. This absolutely resonates with me. Thank you for sharing. I think that’s a good habit to have, there will always be times we don’t feel like writing. I don’t write every day and there are definitely seasons to my writing, but it’s good to be prepared for those opportunities that come. Lots of times writing that includes poetry is great for that reason, which is why I like your writing. The writer’s work is affected not only by the change of seasons but also by the change of time in a 24 hour cycle.. A writer writes more fluently, heartily, and emotionally in the night as compared to the daytime.. Heartfelt emotional stuff are written more easily in the nights and happy light and funny stuff in the day time.. I loved your post ! It’s interesting to track all your cycles – for a period of time I tracked my writing every day and compared it to the phases of the moon and my emotions – it wasn’t always what I expected but worth monitoring. True. Sometimes the clamness around you can result in writing of something deep more connecting and understandable. I don’t know why, but i am intensely falling in love with this kind of photography. While the background is all blurry, while the front shows all the beautiful details of the pic. It appeases my eyes, and really put me in an extreme place of inspiration. So, I have to agree that in some ways, seasons do influence once writing, but taking in consideration that it is the scenery of it that inspires to reflect that moment in time. This blurry background effect (bokeh) is an obsession among some photographers. Some even buy special lenses that they think will help. 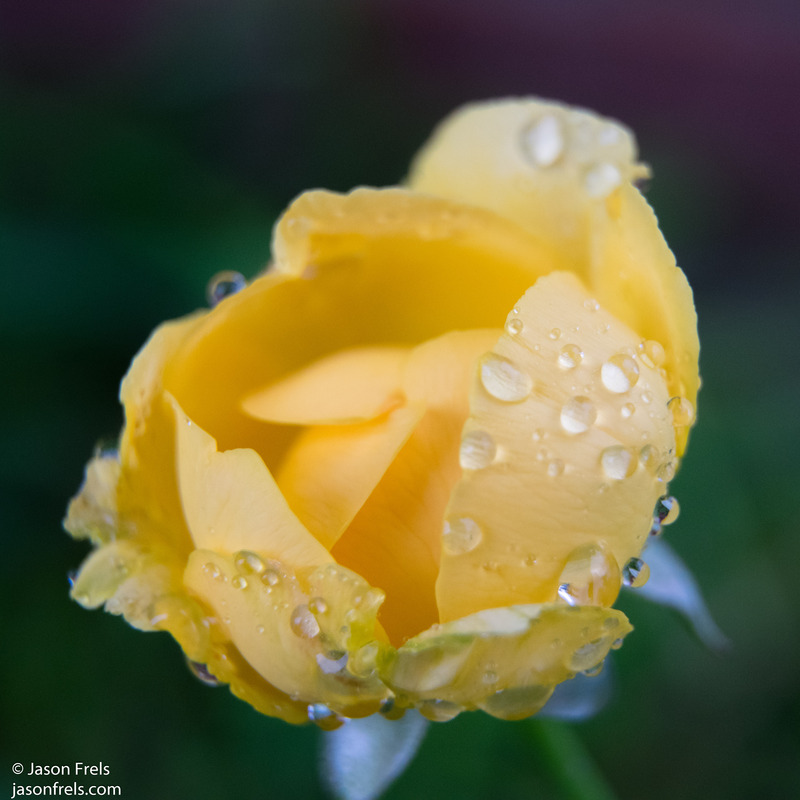 Once in a while I get a bit lucky with it, like in this picture of a yellow rosebud. It can really make the subject pop. That’s encouraged me today. Thank you. One of the best essays I’ve read. Very nicely put, well laid out blog, interesting as well, not to mention the pictures fit perfect. Following now. Thank you. I hope you enjoy my blog as well. I totally agree with this message. And I believe subconsciously all writers adopt and then present the mood of things and people around them, i.e they are the voice. This is just beautiful reading — it makes me feel peace.